Passion, love, & history goes into everything we make. I developed a taste for exceptional chocolate when I was a child. I remember my father bringing home fine European chocolates he had gathered on business trips abroad. Those chocolates were unlike anything I had seen or tasted: rich with flavor, creamy smooth, and beautifully wrapped. Receiving them made me feel especially loved. As I grew, so did my love affair with chocolate. I began to create, from my own recipes, chocolate confections for friends and family. They were expressions of love and are the foundation on which I have created the Stella Leona Artisan Chocolates you enjoy. 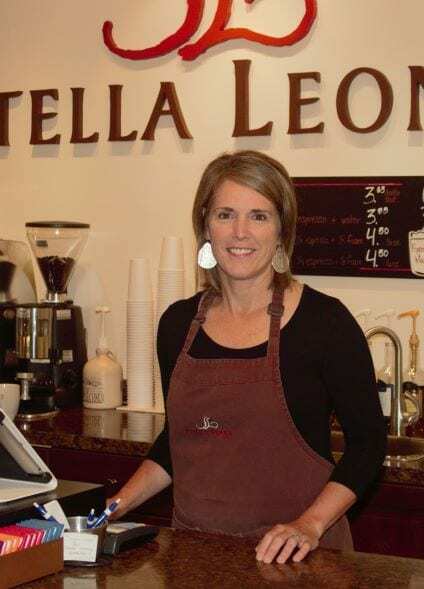 Under the direction of an accomplished chocolatier, I blended the complexities of fine ingredients and the artistry that distinguishes Stella Leona Artisan Chocolates from others. My grandmother, Leona, and her sister, Estella, inspired the company name and my love for life, family, and baking. I hope to honor them with the commitment-to-quality and attention-to-detail that are essential ingredients in everything I create. As you savor your favorite Stella Leona confection, I invite you to think back to a time when you knew in your heart that you were eating something truly special. Enjoy your Stella Leona moment–and then share it with someone you love.